“If I could do it over again….” That’s what I’ve been hearing in my garden conversations this week. The second part of the sentence is usually, “well there’s always next year”. Whether you are experiencing draught conditions, floods, weeds, bugs, diseases, overgrown plants, flopping tomato plants, gigantic zucchini or maybe you are just tired of the heat, don’t stop now. It’s time to plant again! Hooray! Right? Okay, maybe you aren’t as excited as I am with the thought of starting another garden in July, but really, it’s time to sow seeds for your autumn or winter garden. I know, I know, you are TIRED of working in the outdoors in temperatures over 90 degrees. Urban Farmerscapers don’t have the option to stop farming, just like our full time farmers don’t have the option to stop growing food for us. So, here are a few tips for your Garden Do Over. Stake and Prune. 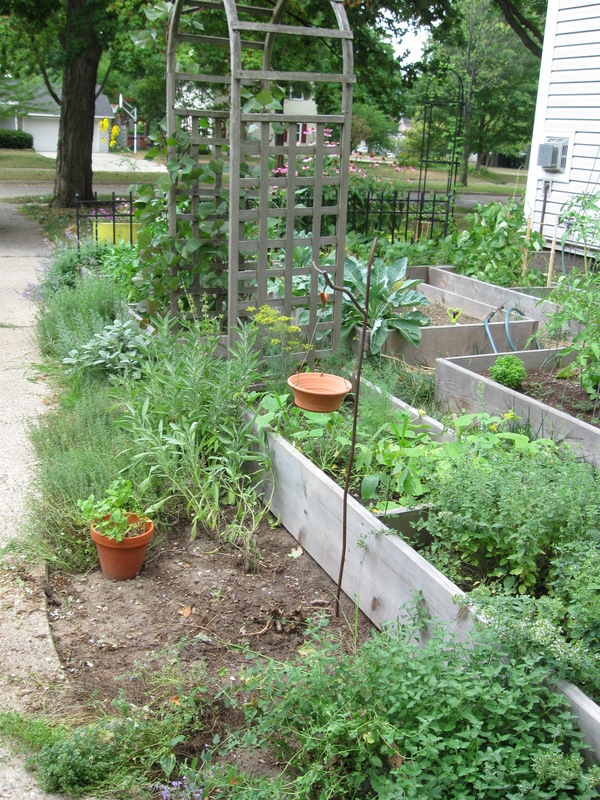 If you haven’t already, stake and prune any tomatoes or climbing veggies. Consider this the “Last Call”. 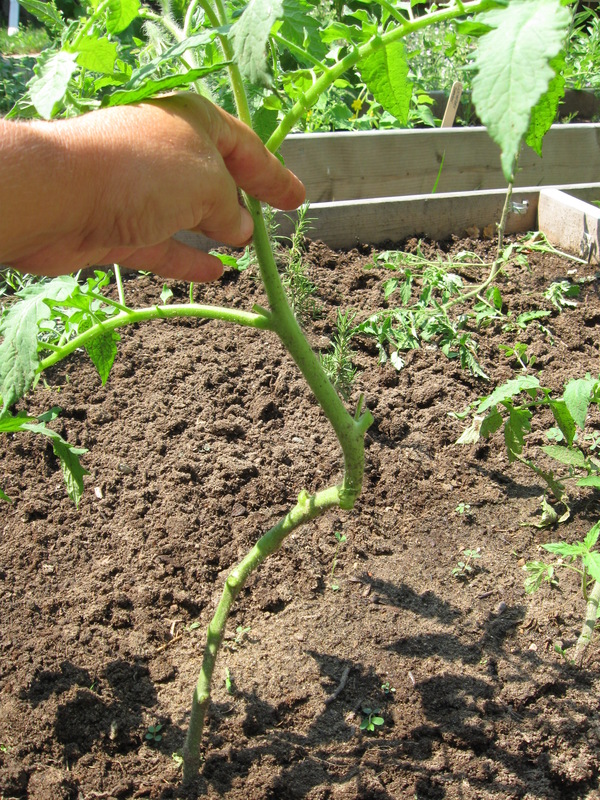 Don’t be afraid to cut off the lower branches of tomatoes to ensure they stay up off the ground. If you are growing indeterminate types, the use of a stake is best. The taller the better. Prune all lower branches up to the first set of buds, or maybe fruit by now. Farmers are using trellising techniques that can hold these tomatoes up so high that a ladder is needed to harvest! Remove plants. There’s nothing wrong with pulling out a plant that has taken over or has gone to seed. I should have never planted this Clarey Sage in the space that I did, but I never grew it before, so I didn’t know better. We learn from our mistakes. I harvested the seeds and now I have space to plant some Cilantro or Parsley! Much better choices for My Urban Farmscape. Harvest efficiently then replant. As soon as you are done harvesting all of the fruit in one area, prepare for your autumn garden. You should add equal amounts of greensand, colloidal rock phosphate, and blood meal. I use 5 pounds of each for every 100 sq ft., adding half at spring planting and the other half in the summer. Also add compost at this time. Then after “resting” for a week, re-plant you fall crop, making sure not to plant something from the same family. Here is a list of plants by family for your reference, along with notations for what you can plant in the fall. Plant a cover crop. 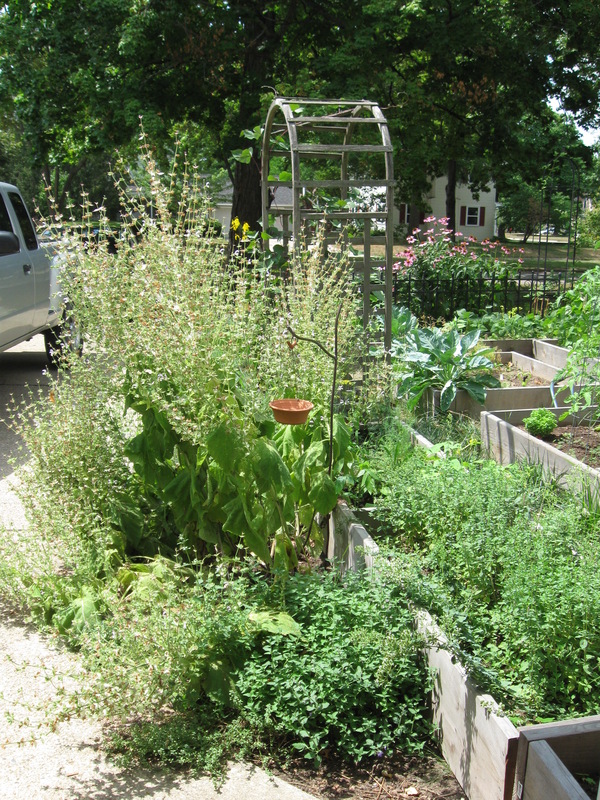 If you have decided that your Urban Farmscaping days are over this year, then make sure you plant a summer cover crop to build soil and help eliminate weed volunteers. A good one is soybean, and for later, as the season cools, you could add some clover. Then make sure you shop at your local farmers market each week. Take good notes. I hope that you are taking notes of what worked, what didn’t, what you could do next year. I make comments on each plant, how it performed, how much I harvested from each plant, how many plants I planted, what varieties, disease or insect problems, dates of planting and harvesting. But most important, I write notes on whether it tasted good or not. That’s why we garden right? YUM! It’s full swing harvest season! How could you call it quits? Maybe you don’t need to do a whole do over, but maybe a spruce up and a re-plant. Need more inspiration? Read my post from exactly 6 months ago, January 22, 2012 titled “Winter Carrots”. YUM! Here’s a quick link. Great tips, Patti! I never thought to prune my tomato plants. Although I diagram a new garden layout each year and hang onto that, I haven’t made notes about what works and what doesn’t either. Thanks for a really helpful post! Hi Elizabeth. Happy to hear this post was helpful. If you would like to see a video on tomato pruning I believe that Johnny’s Seeds has one.